Located approximately 5kms NNE of Burraga. 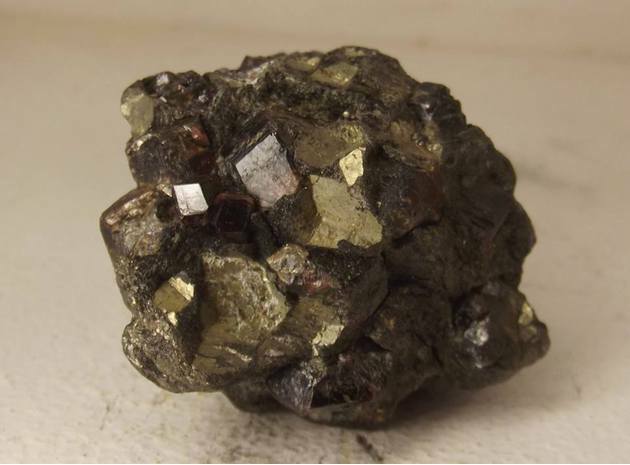 An unusual Gold-Bismuth-Tellurium deposit hosted by an iron skarn-type assemblage with garnet-amphibole rocks. Its 5.2 km northeast of Burraga. NSW. The mine operated as an open cut. Lucky Draw was discovered by Renison Goldfields Consolidated Ltd in 1985, commissioned in December 1988 and closed in 1993. During production the company mined 1.41 million tonnes of ore at an average grade of 4.2 g/t Gold. A lot of the waste material can be found along the roadside near Burraga, where it was used as road fill. 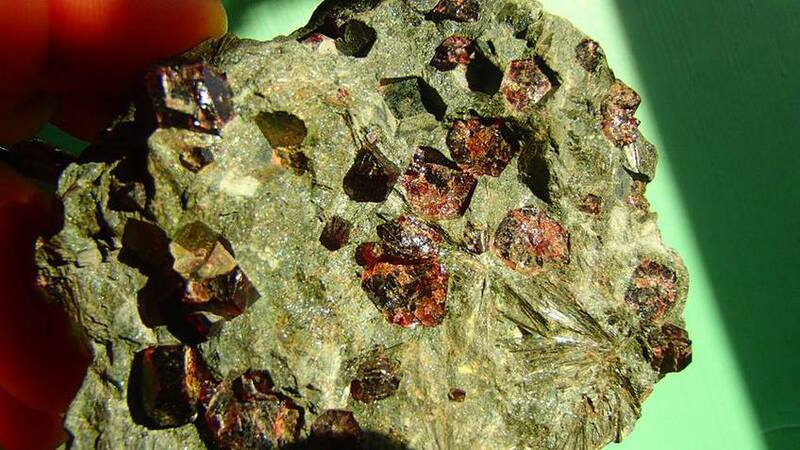 Good specimens of unweathered almandine garnet (up to 1.5cm in size) in gedrite came from the lower levels of the pit. Upon closure the pit is now filled with water. The garnets had a thin coating of sulphide, mainly pyrite, which contained the small quantities of gold. Description: Turbiditic sequence of sandstone, mudstone, shale, carbonaceous shale, greywacke; chert, quartzite, phyllite, slate. 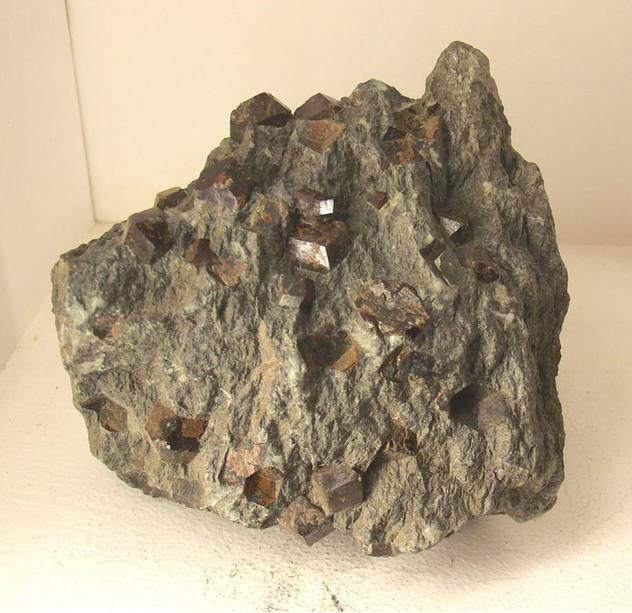 Sheppard, S., Walshe, J.L., Pooley, G.D. (1995) Noncarbonate, skarnlike Au-Bi-Te mineralization, Lucky Draw, New South Wales, Australia. Economic Geology, 90(6), 1553-1569.